Libya was a self-sufficient, prosperous state which collapsed two years ago. It makes remember the dramatic events and what it resulted in. First of all, it was a new type of war, a «virtual revolution» and the United Nations Security Council’s resolutions were based on…editing the stages of a TV movie. After the United Nations Security Council’s resolution N 1970 was adopted, the UN Human Rights Council sent the Independent Investigation Commission to Libya. The Libyan government allowed seeing all the places where public protesters were allegedly shot at. The Commission members were permitted to go anywhere they wanted to and they…hastily left the country. Gaddafi invited them for a meeting, but they didn’t even wait for it! No other investigation by «international community» followed. Vladimir Chamov, former Russian Ambassador to Libya (2008-2011), wrote, «The lie used by NATO to justify its war against Libya made pale even the one concocted as a pretext for invading Iraq». He knows what he is talking about, he’s was Russian Ambassador to Iraq too. The UN Security Council’s resolution envisaged the possibility of «any actions» against Libya. It is said Russia committed a major mistake when it abstained while the Security Council voted for the resolution N 1973. And Russian diplomats, including Oleg Peresypkin, former Russian Ambassador to Libya (1984-1986), say it was quite possible to oppose the text before the vote. Indeed, for the first time in the history of international law any statescould take any measures against Libya. The wording was defying, it needed polishing, and making it more precise, altered, but…it never happened. It was also for the first time ever, a country’s case was transferred to the International Criminal Court, though Libya is not even a party to it. After the events in Libya, election results and adherence to internal law stopped being yardsticks for judging the legitimacy of state power. It was the statements by foreign leaders (the President of the United States, for instance) that mattered now. The so-called Arab revolutions brought a lot of harm to Russia’s interests. No doubt, the cooperation with Arab world was beneficial, multiple contacts are lost now. Pavel Akopov, president of the Association of Russian diplomats, former Russian Ambassador to Libya, recalls, «The Soviet economists worked out a system of granting credits to the Arab States. A loan for ten years was granted with 2.5% interest rate. It was allowed to pay with the commodities produced by a country’s industry or by the enterprises built with the help rendered by the Soviet Union at the expense of the loans. That’s how we exported engineering industry products». The model of developing bilateral mutually beneficial relations was so attractive that they started to copy it in the West. For Russia Libya was the biggest loss in the Middle East. Former Russian Ambassador to Libya (1991-1992) Veniamin Popov says that while redeeming loans Libya paid to Russia more than any other country in the history of economic cooperation between the USSR and other states. The Libyans always paid in cash, if not, they exported oil supplies. The Libyan crude is a high-quality product, it has almost no sulfur. According to Alexey Podzerob, Russian ex Ambassador to Libya (1992-1996), even writing off a part of the debt was beneficial because the money was used for placing orders for Russian industry! The elimination of Libya is a crime against this state, but also an attempt to arbitrarily decree a new international law. The events in Mali are a direct aftermath of what took place in Libya. The case is already transferred to the International Criminal Court and it was done after the legally elected President had been toppled. On February 19 2013 the UN International Independent Investigation Commission offered a report to the UN Security Council strongly recommending to transfer the situation in Syria to the Court too. The Commission acknowledged that «Anti-government armed groups have committed war crimes, including murder, torture, hostage-taking and attacking protected objects. They continue to endanger the civilian population by positioning military objectives inside civilian areas». Still, according to the Commission «The violations and abuses committed by anti-Government armed groups did not, however, reach the intensity and scale of those committed by government forces and affiliated militia». (1) By the way, Carla Del Ponte, a former Chief Prosecutor of two United Nations international criminal law tribunals, is a member of the Commission. Considering civil war cases, she made a one-sided persecution a norm of international «justice». The lessons of Libya are to be drawn to rectify mistakes. Speaking at the press-conference by the end of December 2012, President Putin said Russia would not repeat the mistake. According to him, «We’ll not support any armed groups that try to solve internal problems by use of force». He also made a statement that just couldn’t go unnoticed. Speaking at the press-conference in Copenhagen in 2011 he said nobody has the right of interference into others internal conflicts. Today this stance acquires specific significance. The international intervention in other countries is not considered to be interference into internal affairs anymore. The position made public by Putin calls for leaving behind fictitious arbitrary decisions presented as legal acts and getting back to the real international law. It’s something to be remembered by all advocates of «new» parallel international legal system. 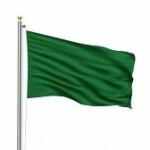 Remembering the Libyan Jamahiriya one should not forget the founder of the country who sacrificed his life for it. Muammar Gaddafi died and did it with dignity. He had thought about death for as long time. Almost forty years ago his famous story called Death saw light. There he wonders if death is male or female. From the point of view of Gaddafi’s philosophy the difference is significant. If death is male then it should be resisted at all costs, if it is female – then it should finally be given place to. The story says death can take any form and it’s the form that defines your actions. The leader of Libyan Jamahiriya acted as described he should in his touching story.